Ask a culinary professional or a budding chef the many types of cooking techniques they employ in their craft and no doubt, the number of methods will be as long as anyone’s supermarket shopping list. A particular practice called Sous Vide (pronounced soo-veed) used to be exclusive only to upscale restaurant kitchens and gastronomic experts, but is now popular with home cooks thanks to the many affordable sous vide appliances available in the market. The Sous Vide technique uses exact science such as controlled temperatures and pressure to cook food to perfection. The result is a restaurant-worthy dish every single time. Sous Vide is a French word that means “under vacuum” conditions, so the method actually involves vacuum-sealing food in a bag and cooking it to the desired level in a water bath for a prolonged time. This “slow food” technique is employed when one has spare time and is not in a rush to make lunch or dinner. Precise temperature control and equal heat circulation are two critical parameters the Sous Vide technique uses to guarantee food is cooked from the inside out and does not come out dry, overcooked or with a tough texture. By using a state-of-the-art Sous Vide machine like in this post, any novel or pro cook can whip up a tasty, juicy salmon or steak dish without breaking a sweat and the benefits optimized. A Sous Vide machine can ensure food is prepared with the correct consistency because of the precise cooking conditions, the right taste because it is cooked in in its own juices, and the exact volume because it does not dry out thereby reducing food waste. Basically, all types of food can be created using a Sous Vide cooker, but the all-time favorites are meat such as fish, poultry and beef. Pan-cooked steak may or may not end up juicy and evenly cooked. 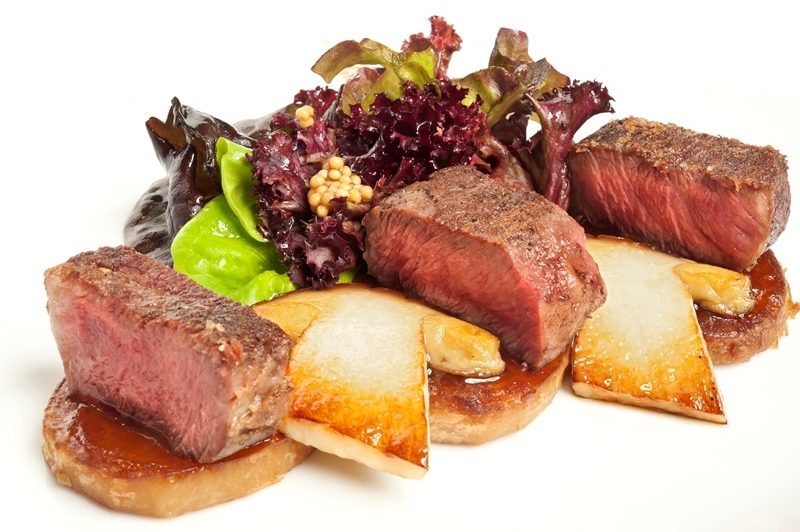 With a Sous Vide machine, steaks are consistently cooked at 129ºF throughout and the results are more appealing. Pan-searing salmon also requires some skill in attaining a juicy, flaky and delicate pink appearance. With a Sous Vide cooker, one won’t have to worry about overcooking the skin or drying out the fish. Soft-boiled or poached eggs are probably one of the most difficult cooking feats. A Sous Vide machine can help any cook achieve perfect eggs every single time. From sautéing, blanching, grilling and frying to baking, basting, searing and toasting – there is literally a cooking procedure or two for every type of food one eats. However, one should definitely try the Sous Vide method and see the difference it makes on cooking food to perfection.